Freedom. That's all Grace has ever wanted. She has always done what others told her to do, and now she's ready to take a stand. She didn't choose to be an Angel and have a future dying by suicide bomb. When the chance finally comes, she runs because deep down she doesn't want to die. She wants to live. 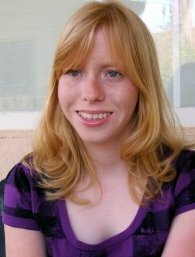 This desire to live causes her to find Chris, the only other person she believes can help her, and he sends her on a train. There Grace must travel with a boy named Kerr and hope to make it alive across the border to a better future. But who can she trust? Is this trip through the desert just setting herself up to be killed? Grace must make the right decisions or she could be fighting for her life. I really liked this book. Most dystopian fantasies are bleak throughout, and basically the whole world collapses. 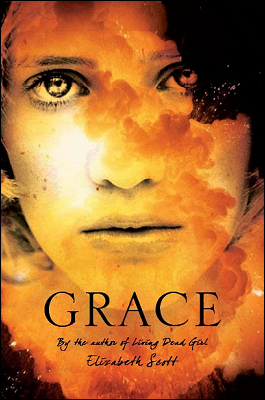 The novel Grace was different because it did provide a hint of hope. The language was very poetic, and I felt like I was reading a poem within a story. I also really enjoyed the interactions between the two main characters, Grace and Kerr. I could never guess what they were thinking. One minute they seemed to be friends, the next enemies. This novel kept me guessing and it had a surprising outcome. Grace deserves five out of five stars.